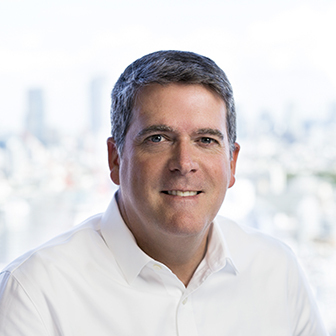 Jack Mickle is an international executive with deep marketing and advertising experience in the U.S. and Asia, where he supported both Local and Global brands in the Philippines, Thailand, Korea, China, Taiwan and Japan. While in Japan, he has managed the international coordination of thirty markets with Toyota and Lexus relationships. Jack has also led the communications of international brands in Japan like Callaway Golf, Major League Baseball and Starbucks. Additionally, Jack founded a full-service agency in Los Angeles, supporting a roster of exceptional clients, including Suzuki Automotive as Digital Agency of Record and the AVP Pro Beach Volleyball Tour as Agency of Record and Acting Chief Marketing Officer. He then returned to Japan as the CEO of the Ogilvy Japan Group, leading the advertising efforts for a host of recognized companies, including Lexus, Major League Baseball, Coca-Cola, IBM, American Express, SC Johnson and Mitsubishi Heavy Industry among others.